A unique keepsake card featuring a sign post with wooden engraved arrow signs and finished with the words ‘I’d be lost without you’. 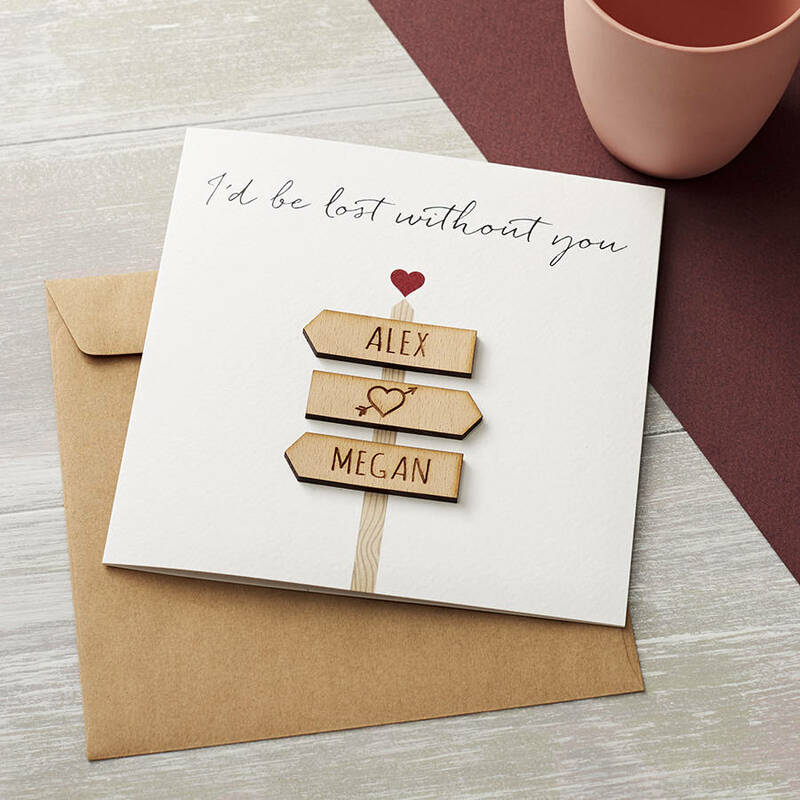 This beautiful card features a simple, yet adorable wooden sign post engraved with you and your partner’s first names, headed with a single line of text that perfectly sums up everything you’ve been meaning to say. 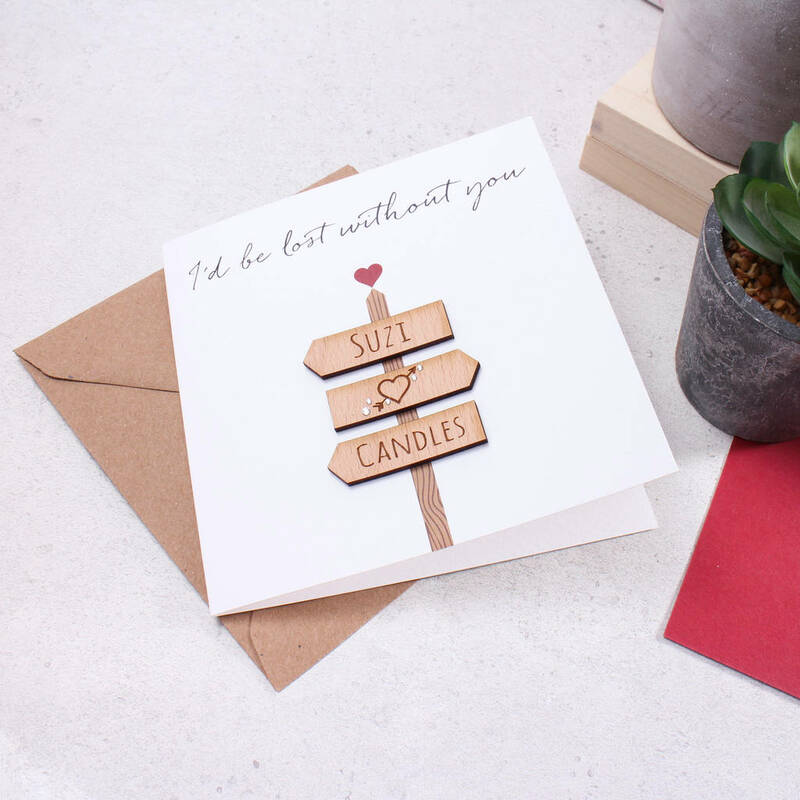 An ideal gift for a birthday or anniversary, this is a truly unique keepsake card that lets your other half know just how much they mean to you. The card design features a single printed post with a small red heart balanced on top. Three cut out arrow signs are mounted to the sign post, two engraved bearing the couple’s names pointing to the left, and one with an arrow pierced heart situated between the two names, pointing to the right. The personalisation information can be entered into the boxes provided. 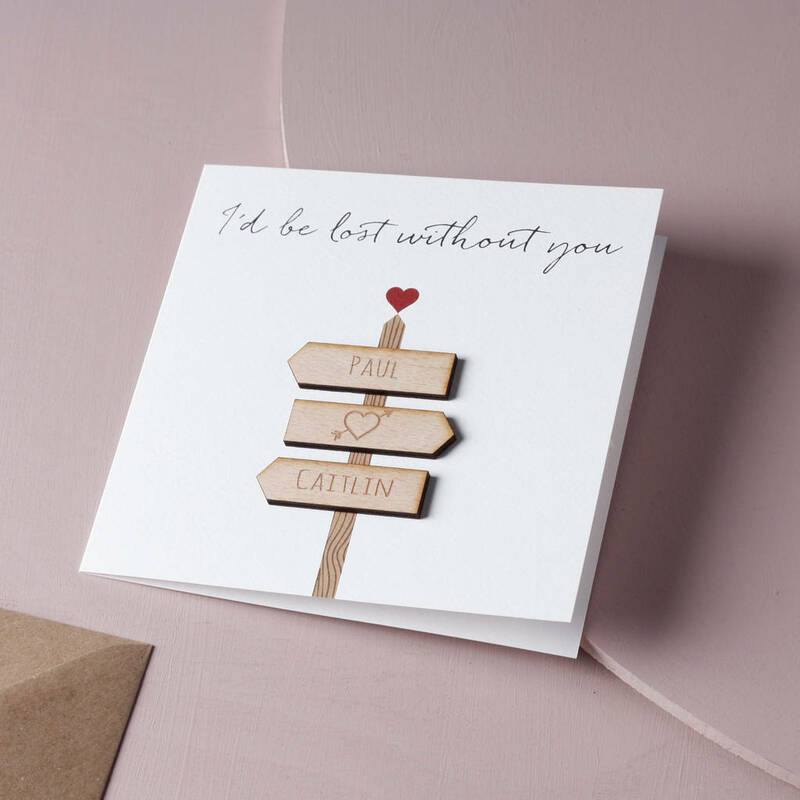 The top line message reads ‘I’d Be Lost Be Without You, and is situated at the top of the card above the sign post.